This Impressive, Four Bedroom Detached Villa in Torreta Florida offers tranquil living on the outskirts of Torrevieja centre. Within minutes are all amenities required such as shops, supermarkets, bars & restaurants, and just under a 6 minutes drive to the nearest sea fronts & beaches in Torrevieja itself. This property consists of the main house with a separately accessed accommodation upstairs. The house comprises of a very substantial, separate fully fitted kitchen; spacious lounge/dining room; three double bedrooms; and two bathrooms. Then access from external stairs leads to the roof top solarium & additional apartment comprising of an open plan fully fitted kitchen; lounge/dining room; one double bedroom; and shower room, a perfect ‘granny flat’. From the solarium are excellent views of the area & salt lakes. 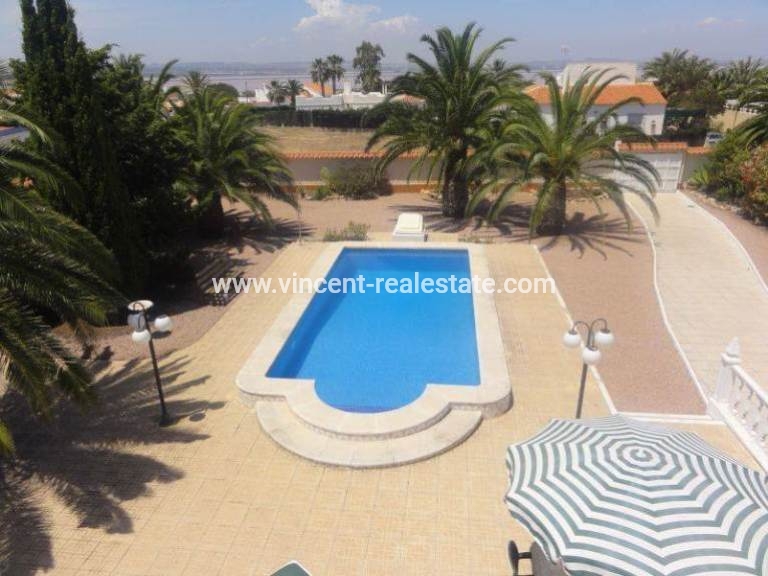 Many extras are included with this exclusive villa with a super large plot!!! First of all, thanks for contacting Vincent Real Estate. We have received your request regarding the property reference: VRE 1823. One of our agents will contact you as soon as possible.